Mattaponi, which began life as part of the English church, dates from 1730-34, a period when landowners were fabulously wealthy with tobacco; churches expressed those aspirations. It is one of a handful of former Church of England colonial churches that are now Baptist. It is the church that my family, then Baptists, attended throughout the tumultuous 19th century, and a place that holds many untold family stories, and graves. The Rev. David Anthony, a former history teacher in Mathews County, is now the pastor. Anthony often daydreamed about preaching at an old country church during his 28 years of teaching; he returned to grad school and began as a part-time pulpit supply preacher at Mattaponi. They kept him on permanently. Growing the flock is a perennial challenge; he said last fall that the church is “on the verge of bearing some fruit.” The old guard, which comes from sometimes an hour away to worship, is eagerly encouraging new, local members. And just this week they baptized two more. In an era of slick mega-churches, smaller churches struggle, according to Fred Anderson, executive director of the Center for Baptist Heritage and Studies at University of Richmond. “It is a real dialogue to maintain it,” said Anderson. Old rural chapels were about singing, preaching and reading from a book; new mega-churches are electronic concert extravaganzas seating thousands. As members age and die, there is literally no life. “It is a concern and then it becomes a practical matter; what is the church and the church is not the building,” said Anderson. 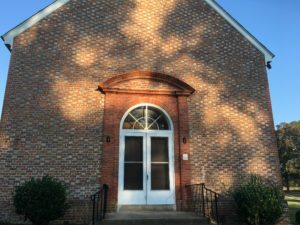 Keeping a building from 1734 going is a challenge any non-profit; for an isolated church it is literally about keeping the doors open, as smaller churches are closing by the thousands. A long-term partner has been the Jessie Ball duPont Fund, the Jacksonville, Fla. charity of Jessie Ball duPont that assisted in the rebuilding of the church when it burned in 1922, and provides yearly stipends and regular grants. 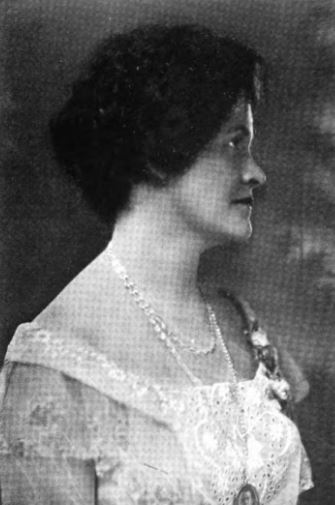 Jessie Ball duPont loved the church; she was close to my great grandfather, and assisted him in founding the Virginia Museum, and sustaining it when it needed funds and attention. 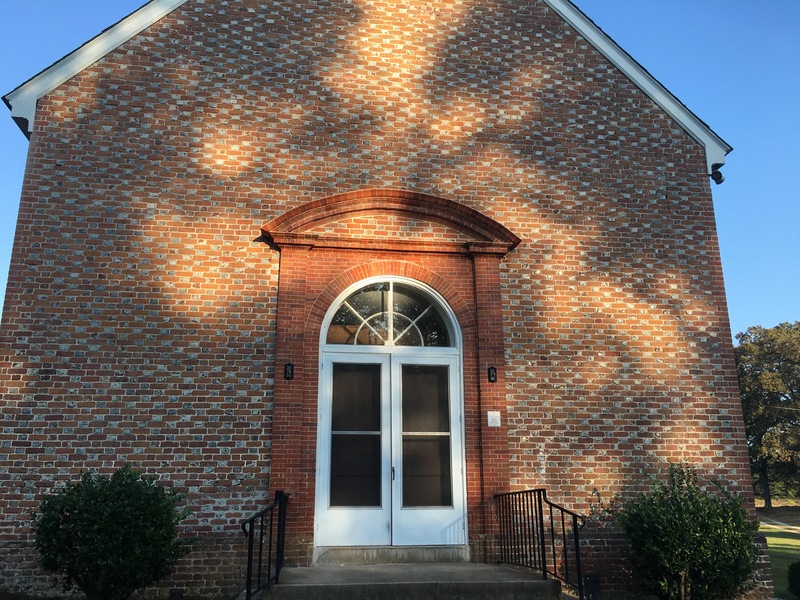 One of the issues with churches like Mattaponi is not only the need for repairs, but the need for technical advice, so the building’s historic fabric will enhanced by modern changes. Mattaponi closed after the Revolution, abandoned by the successor Episcopal Church. It was restored in the era of the Second Great Awakening, when fiery preachers toured the young nation and stirred up heathen, drinking locals at revival outdoor meetings and moved them to abstinence, hard work and family life. Prosperity followed, and the Mattaponi was restored. In the 19th Century, they were wary of allowing an Episcopal bishop to visit, believing of their “design to appropriate to themselves what lawfully and rightfully, as we conceive, belongs to us.” Somehow early on, however, the ancient stone baptismal font, imported from London, made it to Lower Fork Church, an Episcopal church in Hanover County. It is one of 11 original colonial Baptismal fonts in Virginia, according to historian Dell Upton in his seminal book, Holy Things and Profane: Anglican Parish Churches in Colonial Virginia. In the beginning, the congregation (the men called each other “Bro.”) policed their communal life rather like a kibbutz, somewhere between monastery rules and small claims law. At a Feb. 11, 1843 meeting, the church excommunicated a cousin who had been seen too often in “grog” and “frequently under the influence of the intemperate use of ardent spirits” without expressing regret. At the same meeting, it voted to make four slaves deacons, though another slave, Robinson, was excommunicated for “sins which it is not proper or necessary to mention here.” We can only guess at some of those other “sins” as fornication is quite often mentioned by name. Inter-church fights were always between the members, even when some of the ideas were preposterous, including when an Elder Todd was charged with saying that there should be two communion tables, one for rich and one for poor. Attitudes to alcohol evolved, from being against the excessive use to opposing the sale of alcohol, to subjecting those who patronized barrooms to discipline. The minutes also detail complex relations between slaves, whites and freemen, who all worshipped together and were ostensibly “subject to one another.” Freed slaves in 1835 in the church included a certain George Kauffman, Lorenzo Dow and Gabriel Robinson. Through the minutes, I can also see, for the first time in my life, the names of those “belonging to” to my great-great-great grandfather, including Hannah, Sarah, Robbin, Carter and Ellick. 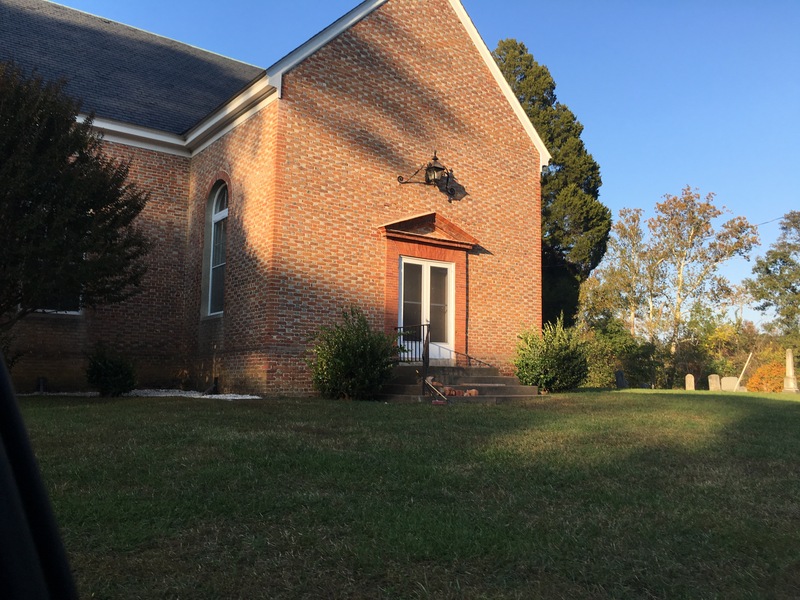 In 2016, Anthony was asked to preach at nearby Zion Baptist Church, which split off from Mattaponi after the Civil War, for their 150th anniversary. In spite of the physical proximity and obvious ties, there had not been much contact with the black church. On Memorial Day, Mattaponi reciprocated. “The whole church showed up,” said Anthony. “We had not been anticipating that. It was our loaves and fishes moment.” This summer, Anthony preached at their revival.